After the less than stellar outcome with the Butterflied Turkey I wanted to do something easy with this cook. So I figured I would go back to a basic, drumsticks. 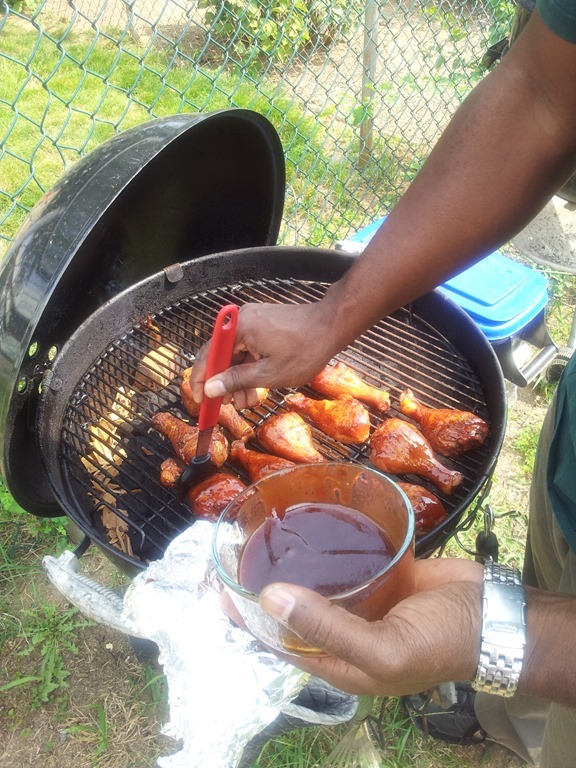 I recently bought a new grill cookbook, Myron Mixon’s Everyday Barbeque and was dying to try the brine recipe in it. These could have been fine smoke roasted in the 325-350 range. They didn’t need to have the slow and low treatment that a roast would need. A continuous supply of Apple chips was the perfect amount of smoke. 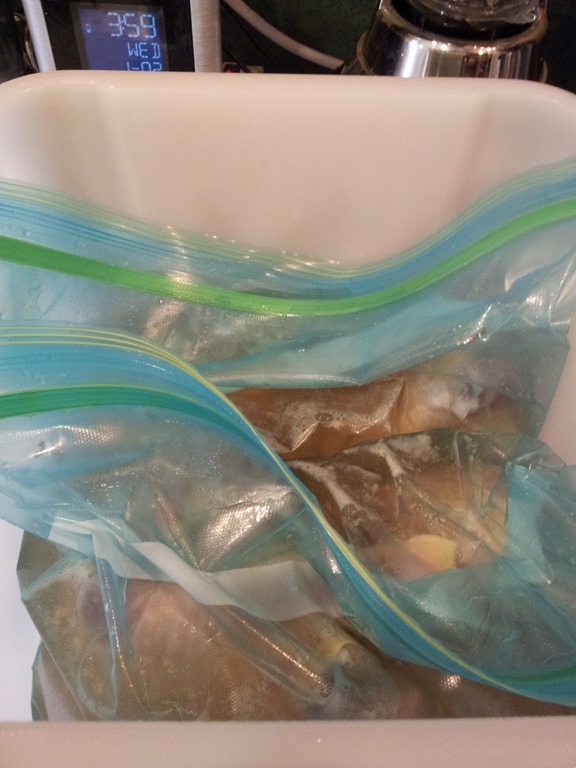 Brine: I used Myron Mixon’s apple juice brine, and brined the drumsticks overnight. 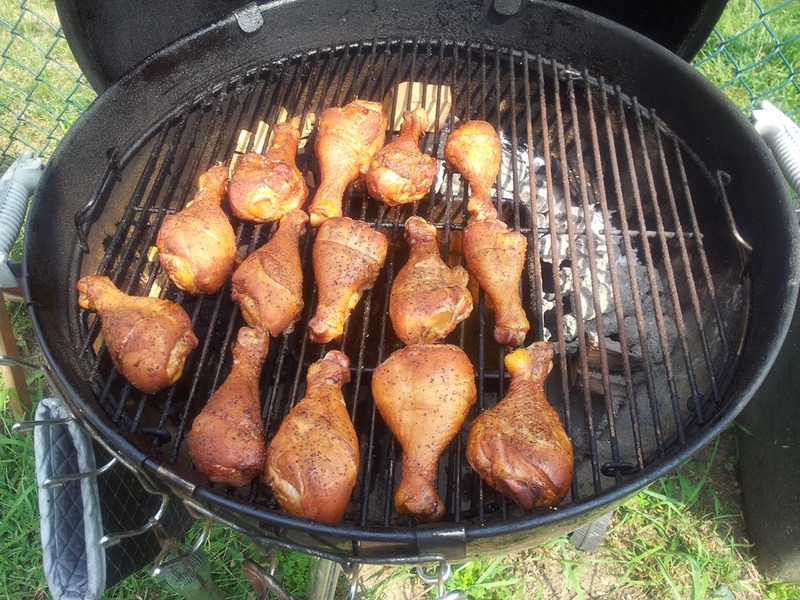 Drumsticks all rubbed up and resting. 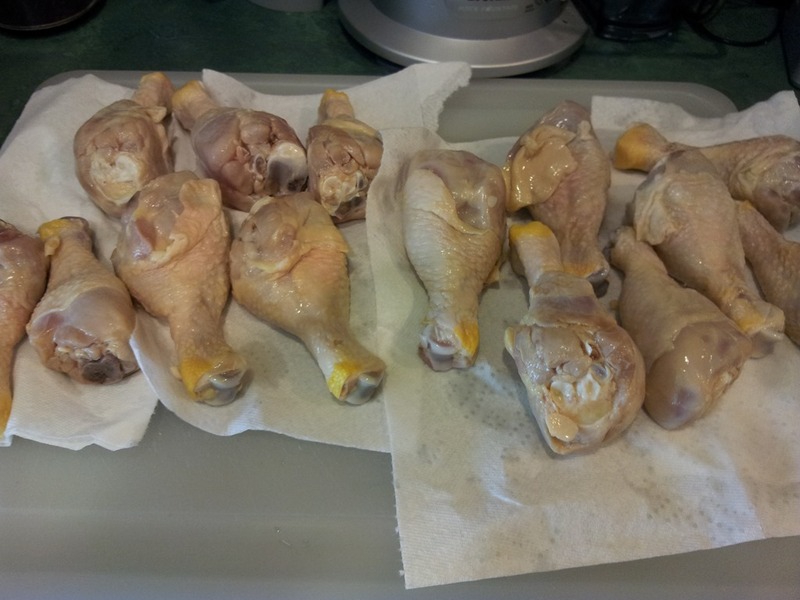 My kids, who don’t like anything with spice or flavor, actually requested some “blank” drumsticks. 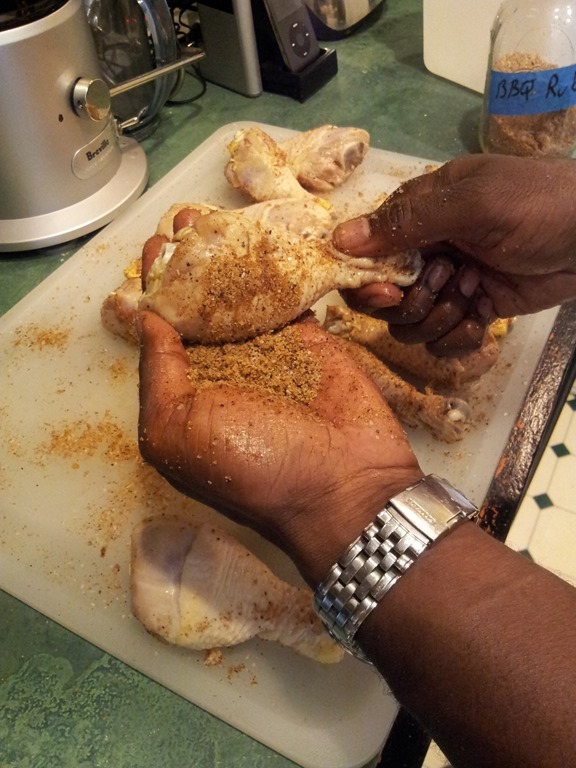 No rub, just smoke and sauce! For this cook I went for a slow and low setup with about 3 hours of fuel. 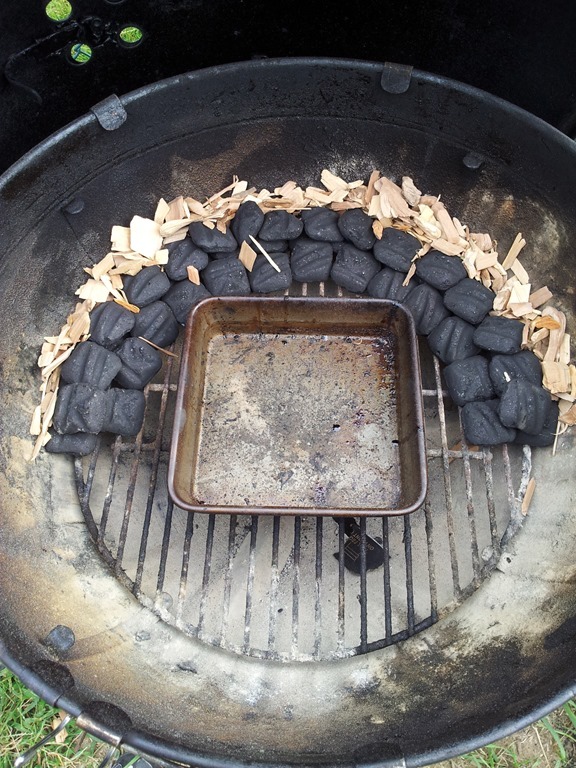 I have a continuous ring of Apple chips on top of the coals. This should get me a nice steady stream of smoke but not too much to overpower the meat with a sooty taste. For the sauce I went with a straight 2:1 mixture of Sweet Baby Ray’s and Raw Honey. Heated and mixed together. I mixed this about 2 hours before using. 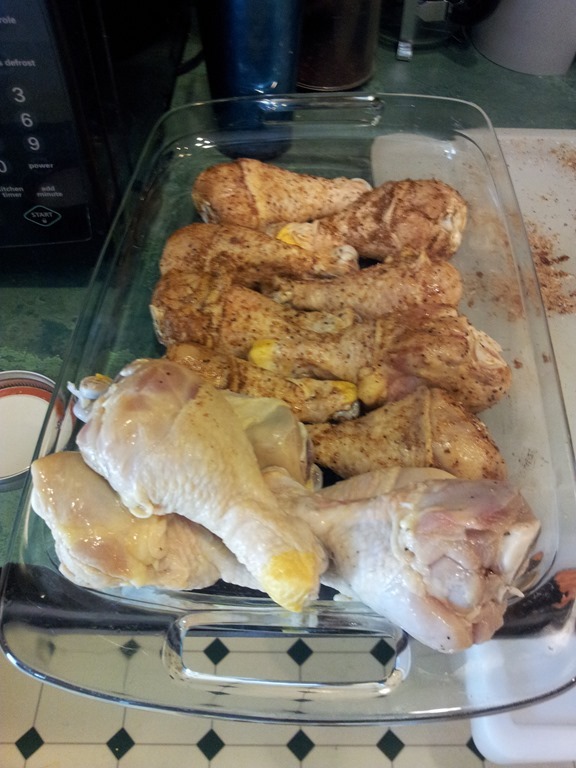 This is what the Chicken looked at the 2 hour mark. You can see that the ring of coals and chips have burned through half of the fuel. The grill was in the solid 225-250 range. A bit lower than necessary for chicken. But since this was going to be a long smoke I had plenty of time and fuel. 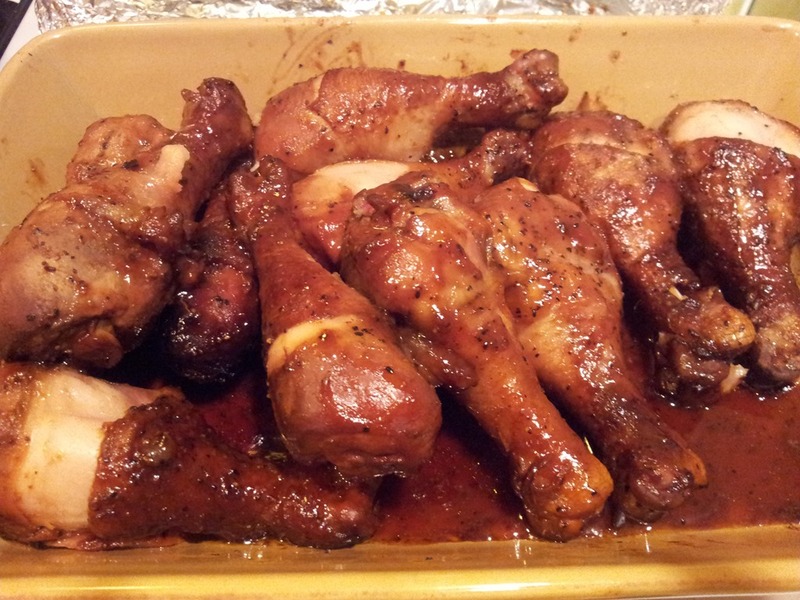 I went ahead and added some sauce on the drumsticks. And left them on for about 30 minutes more. I ended up not having to go the entire 3 hours at all. 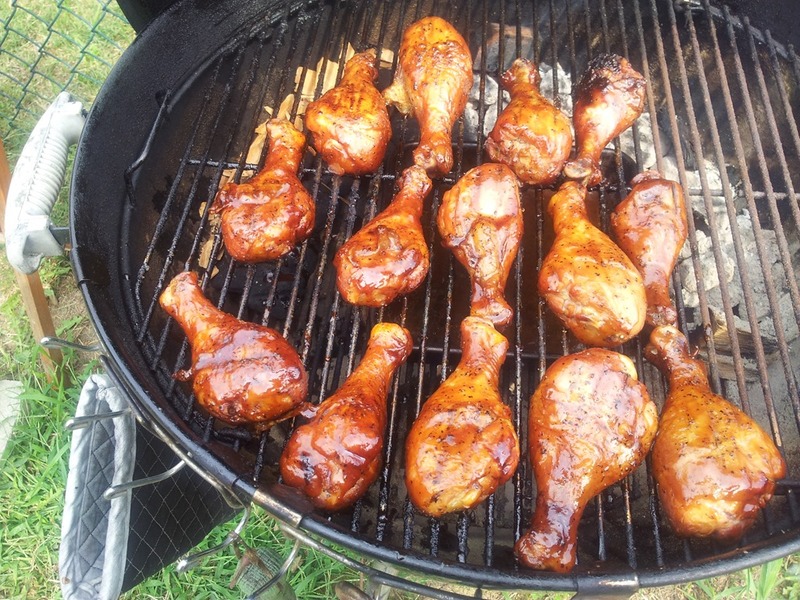 Temps on the drumsticks at saucing were at 160. 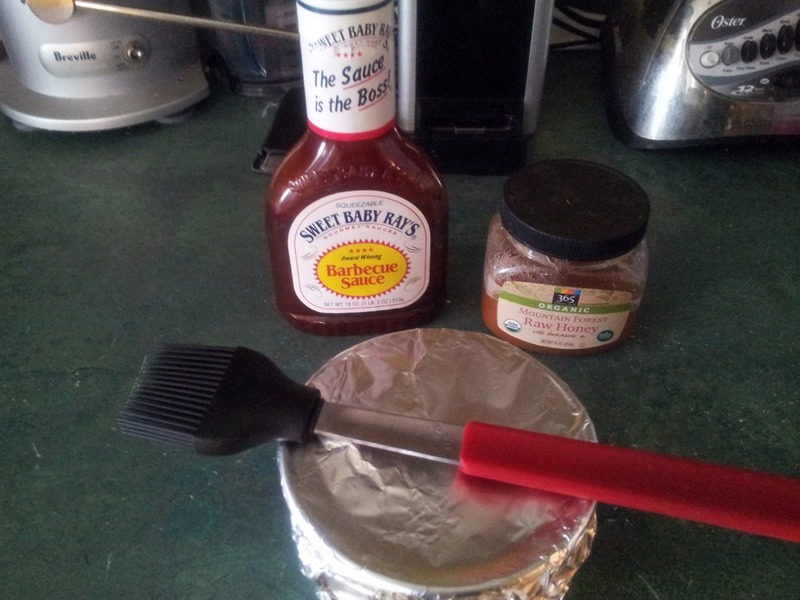 I pulled the chicken off, gave another coating of sauce, and covered with foil and let sit for 30 minutes. These were so good, and fall off the bone soft! A couple didn’t even make it to the photo shoot. Sacrificed to Cook’s Privilege! The apple wood left a mild taste, more subtle than cherry. It was a great compliment to the brine! 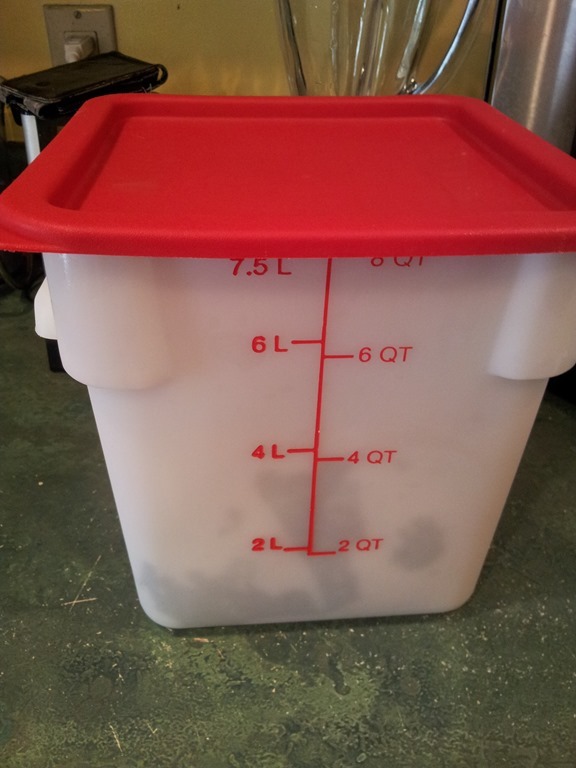 This entry was posted in Cook Sessions, Cookbooks, Recipes and tagged bbq, brine, chicken, cook, cookbook, food, grilling, Ingredients, Poultry, recipe, smoking, weber, weber one touch gold by The Warrior. Bookmark the permalink.